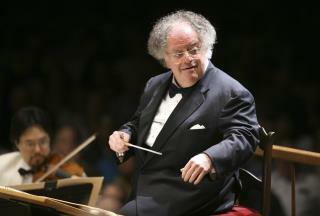 (Newser) – New York's Metropolitan Opera said Saturday it will open an investigation into allegations that its longtime conductor, James Levine, sexually abused a man three decades ago beginning when the man was a teenager. Levine's accuser, now middle-aged, contacted the police in Lake Forest, Ill., in October 2016 to report that he'd had sexual contact with the conductor when he was under age 18; he alleges some of his encounters with Levine took place there in the mid-1980s. Levine served as music director at the Ravinia Festival, outside Chicago, from 1973 to 1993. Met officials said they learned of the police report last year, and "at the time, Mr. Levine said that the charges were completely false, and we relied upon the further investigation of the police. We need to determine if these charges are true and, if they are, take appropriate action." The accuser, whose name is being withheld by the AP, contacted reporters from several news organizations and posted a handful of items on social media accusing Levine of abusing him when he was young. The Lake Forest department assigned a detective who spent at least seven months investigating the allegations, according to a redacted copy of her reports. The accuser, who at the time was hoping for a career in music, told police the conductor told him he wanted to “to see if you can be raised special like me," reports the New York Times. Levine had invited him to audition for him in New York and then encouraged him to engage in sexual "experimentation." He also said that his relationship with Levine extended well into adulthood and that the composer gave him money over the years when he was having financial problems, amounting to more than $50,000. Here's the pattern. Extremely unattractive men with power come to the realization that there's no way they can ever get a good looking woman. E.g. Weinstein, Levine, Keillor, Franken, Weiner, Rose, Conyers, etc.